The Cash Is King ATM Temporary Service has multiple competitive advantages associated with its program. 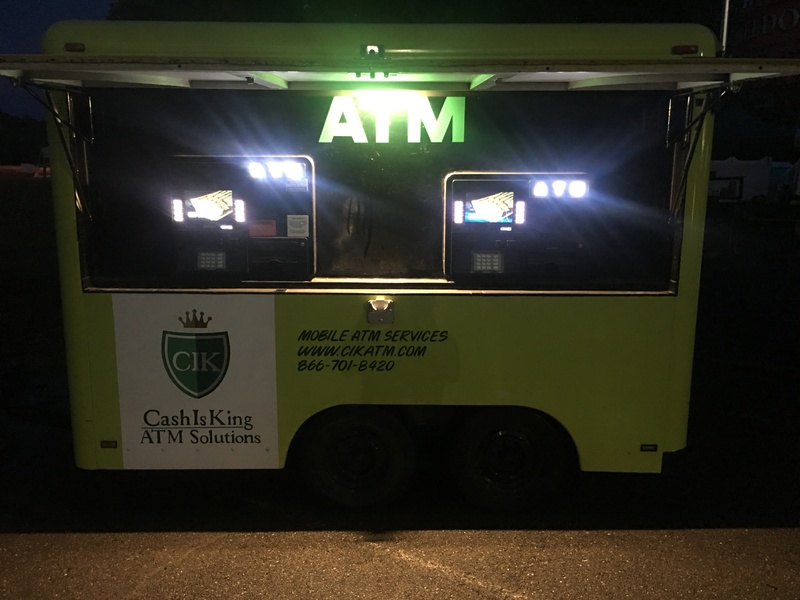 When a customer needs cash at any special event, Cash is King ATM delivers. 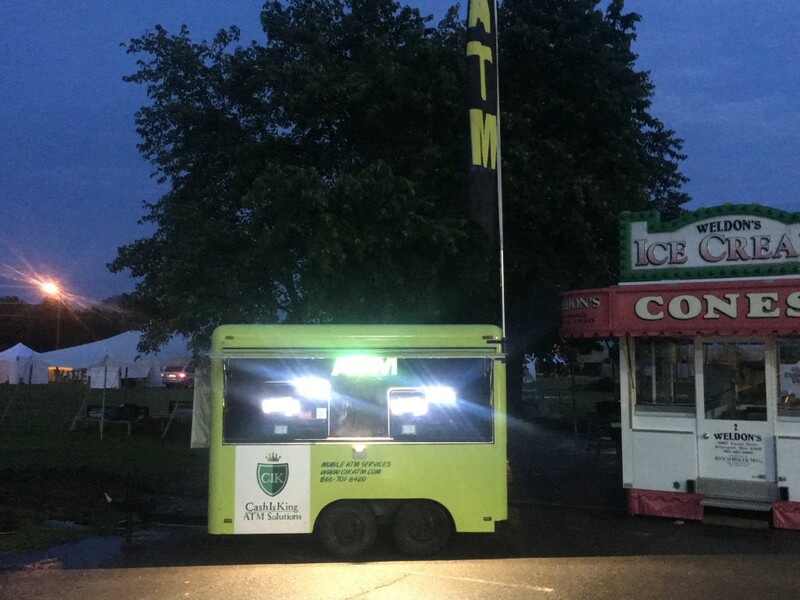 Cash is the preferred payment method at most special events, and Cash Is King ATM provides convenient access to mobile ATMs throughout the entire venue. ATMs increase patron spending, improve customer satisfaction, and increase profit margins for vendors employed at the special event. The ATM helps eliminate bad checks, high credit card fees, and keeps patrons within the gates longer. 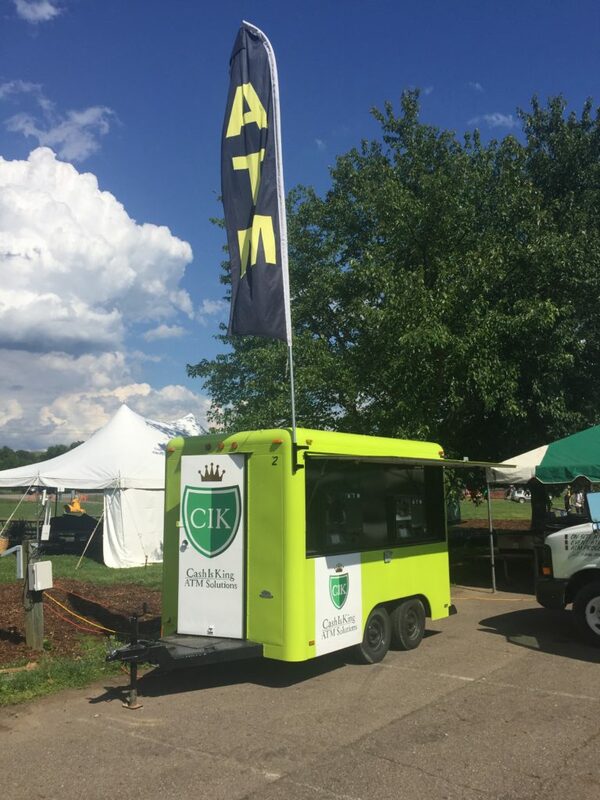 -75+% of money dispensed from the mobile ATM is spent at the actual event. -Vendors unable to accept credit cards will now see increased sales with a mobile event on site. -Turn-key mobile ATM rentals are set up and maintained at no cost to you. -All ATMs are set up, stocked with cash, monitored and removed by our professional team. -All mobile ATMs are highly visible and come complete with canopy and banners. -Wireless mobile ATM machines can be placed anywhere at your special event. -Remote monitoring gives us the ability to monitor the ATMs and the level of cash available at all times. This allows us to ensure that our machines will not run out of cash at your event. 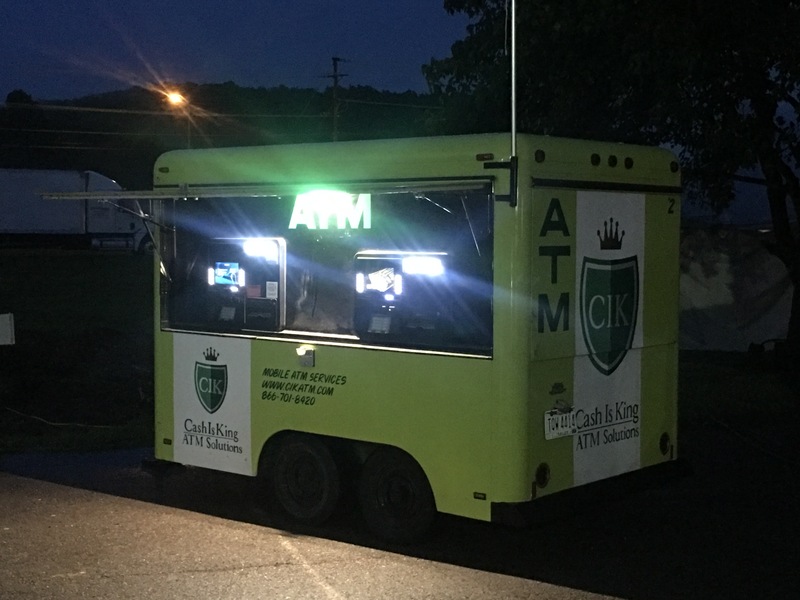 Cash Is King ATM Solutions will supply you mobile ATMs for your special event without any operational responsibility on your part. We handle all aspects of the process, from set up to breakdown.